Welcome to the website of AZ Biopharm GmbH – our independent analytics laboratory in Berlin. Feel free to find out more information on the following pages about our extensive range of services and we will be happy to advise you on your individual requirements with no obligation. An individual contact person is always available should you have any queries. Do not hesitate therefore to contact us any time! We are looking forward to your enquiry. AZ Biopharm GmbH Berlin is a private company founded 25 years ago that has extensive experience in the field of analytics. As an attractive employer with promotion prospects and a low turnover rate, the development of Analytischen Zentrums Berlin (AZB) is similarly geared towards high continuity. The main focus of the independent service provider is composed of pharmaceutical quality control and bioanalysis as part of clinical trials. AZB guarantees quality, quick response times and tailor-made, analytical solutions for sponsors. 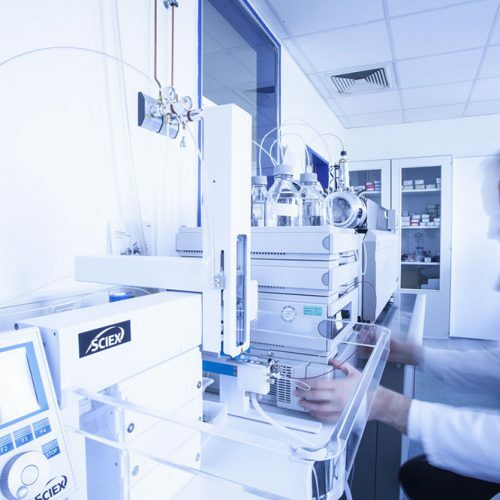 AZB GmbH is looking for a chemical laboratory technician, CTA / biology lab technician, BTA for our pharmaceutical quality control. More information can be found here. AZ Biopharm GmbH is able to carry out the particle counting according to Pharm. Eur. 2.9.19 by laser light blockade as well as the coulometric titration according to Pharm. Eur. 2.5.32. If you are interested, we look forward to your inquiry to info@az-biopharm.de.